This month, Daniel Ghinn examines how Johnson & Johnson’s integrated social media channels are working to support nurses and prospective nurses. By 2020, the US will face a shortage of 800,000 nurses, according to statistics quoted by Johnson & Johnson (J&J) on its website dedicated to encouraging nurses’ careers, DiscoverNursing.com. The site is the digital heart of the company’s Campaign for Nursing’s Future, which J&J says it launched in 2002 ‘… to address the most profound nursing shortage in our nation’s history’. The website acts as a portal to the company’s resources for nurses, many of which tell the story of the real lives of nurses from their own perspectives. “Nursing has made me appreciate life,” says Steve, a Family Nurse Practitioner in one video that portrays a day in his life at home and work in Montana. Nurses are an important stakeholder group to healthcare companies like J&J – the company says that nurses account for 2.6 million jobs in the US alone. So it’s no wonder that it is investing in supporting this customer group. J&J has been among the pharmaceutical and healthcare industry’s leaders in social media for a long time, as I have previously written in this column, so it is no surprise to find that the Campaign for Nursing’s Future is now supported by a rich range of digital channels designed to engage aspiring and serving nurses. In the 12 years since its launch, digital and interactive channels have been gradually integrated into the campaign, reflecting the increasing digital confidence among nurses, as well as those aspiring to join the profession. One of the first interactive tools developed by the campaign in 2006 was a Virtual Nurse Manager tool for nurses moving from staff-level to a management position. This CD-Rom-based tool included educational animations and role-playing sequences that provided challenging management scenarios for nurses. To inspire and educate young people about nursing, J&J launched The Nursing Gang, featuring a set of cartoon nurse characters, games, and a music video. Distributed via DVD to school nurses in the US, the characters also feature in a Nursing Gang area of the campaign website and on YouTube. The Nursing Gang was launched by J&J to inspire and educate pre-teens about nursing. The resources and campaign components J&J has added over the years are diverse in style, content and target audience, but all themed around nursing. In 2011, the company launched ‘Happy Nurse’, a mobile app game in which players create a nurse avatar that runs through a hospital avoiding obstacles. In the Happy Nurse app, players create their own nurse avatars and then race them through a hospital avoiding obstacles. The campaign has so much niche video content dedicated to nurses that J&J has now given it a dedicated YouTube channel, entirely separate from the company’s highly-successful JNJHealth channel which was established in 2008 and has since gained almost 11 million video views. While the JNJHealth channel had gained 1.5 million video views in the first 18 months after launching, the Discover Nursing YouTube channel, launched 2012, has gained just 130,000 video views to date. Its content is highly targeted at those with an interest in nursing and includes some high quality, produced videos showing the real lives of nurses, as well as a series of low-budget, home-made videos made by nurses about their personal experiences in nursing. In these collections of stakeholder-generated content, nurses talk informally about topics such as ‘How I got into nursing’, ‘What I love most about nursing’ and ‘Advice for new nurses’. The Campaign for Nursing’s Future also gained its own Twitter profile in 2012, JNJNursingNotes. With over 3,000 followers today, J&J uses this Twitter profile to engage individuals and organisations, share its other nursing social media channels, newsletters and content such as podcasts. It also engages in weekly nursing twitter chats such as #WeNurses and #NurseUp. Earlier this year, J&J put the Campaign for Nursing’s Future on Pinterest, ‘to offer another way to share inspiring nurse quotes and sayings, showcase empowering real-life nurse stories and provide more ways to access and view our nursing resources’. The Pinterest account has already posted over 200 ‘Pins’ – images promoting the rich resources available through DiscoverNursing.com. With the Campaign for Nursing’s Future, J&J shows how a rich set of channels can be integrated to engage healthcare professionals throughout their careers. This is refreshing in an environment where some healthcare stakeholder campaigns seem to come and go with each new season. After 12 years of engagement, the campaign’s content has a long lifespan that could keep engaging nurses for years to come. Daniel’s next article will go live in September. Daniel Ghinn is CEO and co-founder of Creation Healthcare, where he helps companies to learn from healthcare professionals in social media. He tweets at @EngagementStrat. 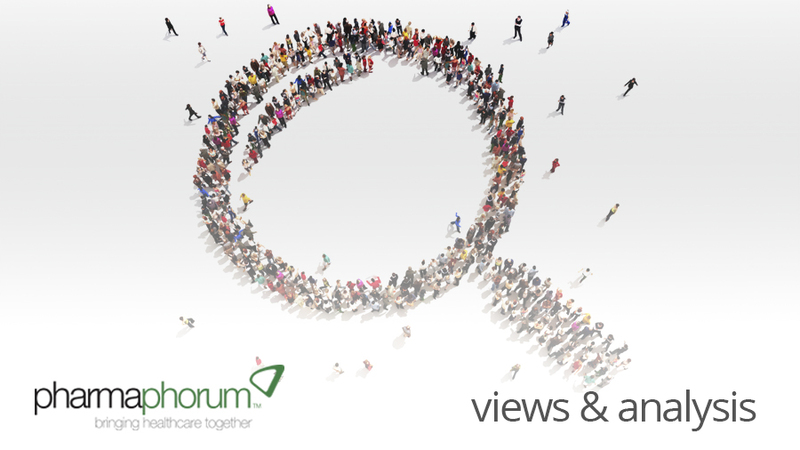 Have your say: How can pharma benefit from fully integrated social media campaigns?